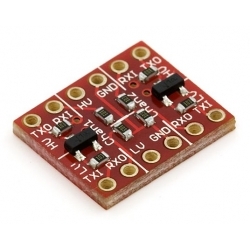 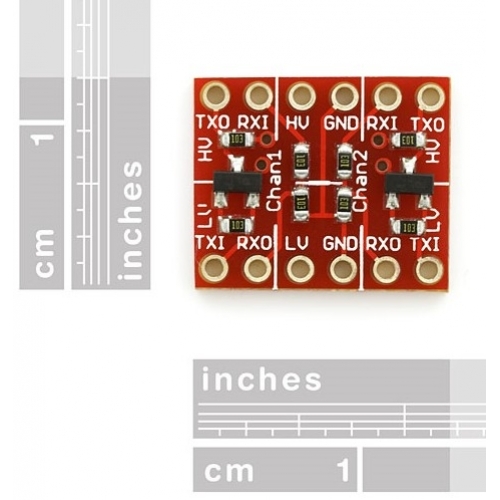 The SparkFun Logic Level Converter is very easy to use. 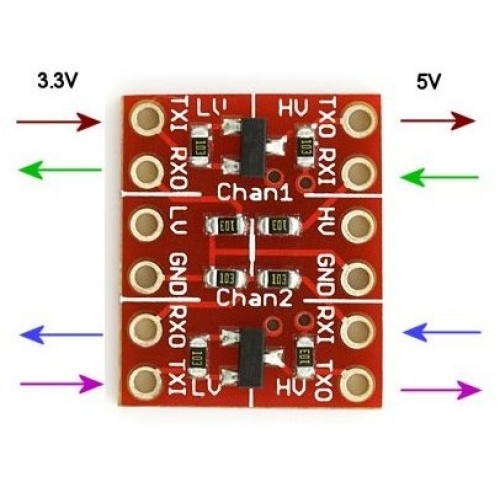 The board needs to be powered from the two voltages sources (high voltage and low voltage) that your system is using. 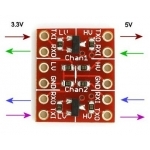 High voltage (5V for example) to the 'HV' pin, low voltage (2.8V for example) to 'LV', and ground from the system to the 'GND' pin. 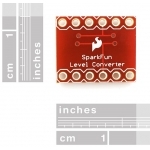 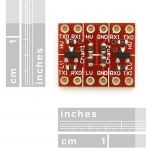 SparkFun Logic Level Converter Dimensions: 0.5x0.6"